The union representing borough police officers filed a federal civil-rights lawsuit last week claiming Englewood Cliffs Mayor Mario Kranjac and Council President Carrol McMorrow abused their power and retaliated against officers who didn’t agree with their positions. The 32-page complaint details more than two dozen specific incidents this year in which, the police union says, Kranjac or McMorrow acted to interfere with the operations of the department including attempts to schedule training for officers, to interfere with how officers are paid and to interfere with internal-affairs investigations. The lawsuit also questions the motivation behind an internal-affairs complaint lodged by McMorrow against union leaders over a letter they wrote to Police Chief Michael Cioffi explaining why they canceled a community policing event this summer. 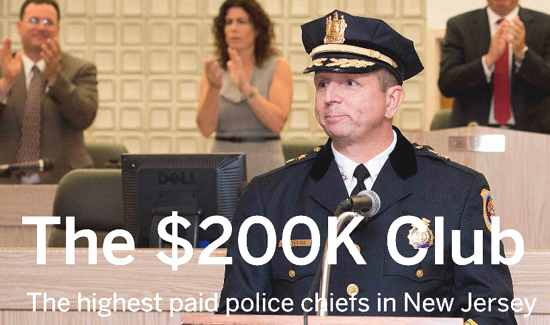 The lawsuit claims that McMorrow has conflicts of interest with the police department and Police Chief Michael Cioffi. Her husband, former Deputy Chief Michael McMorrow, who resigned last month citing a hostile work place, has filed two lawsuits against Cioffi and the borough. One was settled the other is active. McMorrow said the claims in the union lawsuit are “demonstrably false,” in a prepared statement Saturday.